Over the last few decades, we’ve managed to curb heart disease in men, while it’s become the number one killer of women. The reason stems from a necessary but unfortunate situation: women can have babies, so they are excluded from most medical research lest it accidentally lead to a miscarriage or birth defects. Recently, medical research has begun making an effort to include women. After all, it’s worth the extra rigour required: many current blockbuster drugs don’t work for women like they do men, and as patents start to expire and Big Pharma scrambles (there hasn’t been a new blockbuster drug in a long time—aside from vaccines), they might be able to find variations that specifically help women. Here’s some of what we’ve learned: for women, heart disease is far more of a vascular problem, whereas in men it’s focused more in the heart. 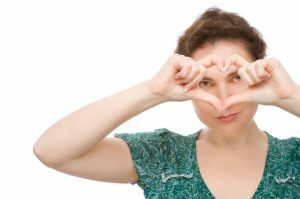 In women, heart disease is caused and influenced by different factors, including hormones. For women, high blood pressure is far more likely to be a symptom of heart disease and needs aggressive follow up and treatment. -Like everything, it all comes back to diet and exercise. 20 minutes of moderate exercise is great, and easy to accomplish (check out our twitter feed for ideas). -You can enhance your diet with a cardiovascular focused supplement. -Make sure you’re focusing on your overall health through the lens of a women’s needs. At different times in your life you might benefit from dietary additions like evening primrose oil or an adrenal supporting supplement. -Keep a dialogue going with your doctor. Will you need hormone supplements? Extra calcium? A lifestyle change? -Know that for some women, signs of a heart attack may be different then what you see in Hollywood. Pain across your upper back, and shortness of breath are as likely as the stabbing pain in the left arm and dramatic floor-crumple that TV portrays.